Basis of the Gurston Down Championship. 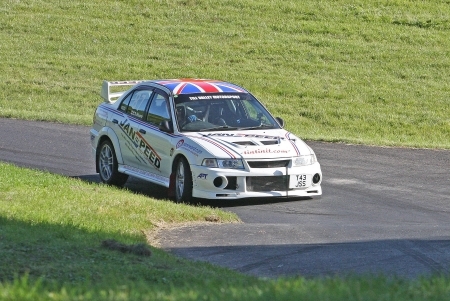 The Gurston Down Hillclimb Championship, now generously sponsored by Meadens Skoda, comprises of Fouteen rounds, two at each of the seven events being part of the Championship. The events are held in April (two), June (two), July (two) and September. And a new scoring system was adopted for the 2018 season. This new systems sees points awarded on the basis of the position competitors finish in relative to their opponents on EACH timed run. Hence two rounds per Event. plus 1 point to every other starter i.e. who crosses the start line. 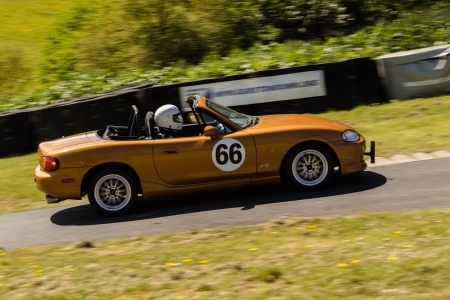 A bonus point will be awarded to any driver breaking the class target time during a competition run. possible (without making changes during a season). the class for which competitors were originally eligible. awarded points according to their position in the class on each class run. towards the overall championship total. be adopted in the sequence shown below until a result is achieved. a) The competitor who beats by the most or gets closest to their class target time shall be the winner. times shall be compared to the target time, and the third etc. as required. ‘probationary period’ may be extended pending further review. target time for a particular class, the Committee will decide what further action should be taken. Trophies as currently outlined in Clause 8 will be unaffected. Basis of the Top Ten Challenge. 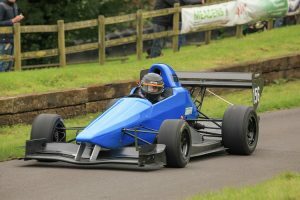 Running in parallel with the Gurston Down Hillclimb Championship, and at the same meetings, The Cavendish Ships Stores Top Ten Challenge sees points being awarded to the ten fastest registered competitors at each meeting, irrespective of which class they compete in. Ten points go to the overall fastest contender, down to one point for the 10th fastest. So, as you might expect, the Challenge tends to be dominated by the larger capacity single-seater racing cars running at the end of the entry, though it is by no means impossible for the Supersports or Sports Libre cars to get amongst the points, or indeed the smaller capacity racing cars. And should Mother Nature decide to interfere by raining part way through the meeting, then the whole Challenge is thrown wide open. 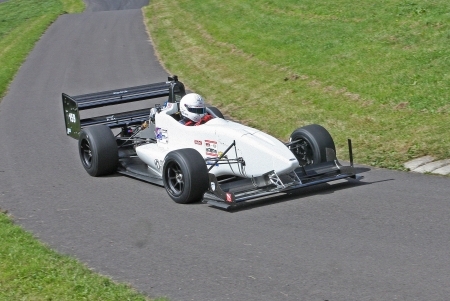 The remarkably rapid smaller single-seaters, particularly the bike-engined cars, often spring surprises, especially if conditions are less than perfect, when their nimble handling can overcome the power deficit to the bigger engined cars. As in the Gurston Championship, a drivers best four scores count towards overall position in the Cavendish Ships Stores Challenge, and with the race for “Best Time of the Day” being so competitive at Gurston these days, predicting a Challenge winner is no easy task. The tussle for supremacy in the Challenge is just as ferocious as in the Gurston Down Championship.